An elderly man drowned Saturday morning after his canoe flipped in Hernando County. According to officials, the 83-year-old man and his wife were canoeing on the Weeki Wachee River Saturday morning when the canoe tipped. The man died, but his wife survived the accident. Officials are still conducting an investigation into the cause of the accident. It is almost June and the summer season is officially upon us. With that said, our Hernando County Boating Accident Attorneys at Whittel & Melton urge you to remember safety procedures when boating. The number one rule for safety is to always wear a PFD or personal floatation device, also known as a life jacket, when near large bodies of water or while in any type of boat, including smaller watercrafts such as canoes and jet skis. Keep in mind that it is never too late to take a swimming class, and there are also numerous types of boating classes available as well. Learning how to properly swim or safely operate your boat can keep you and those closest to you safe from unnecessary harm. Anytime someone loses a loved one unexpectedly it is a tragic and heartbreaking event. 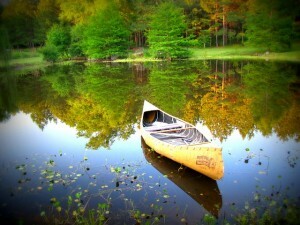 In cases where another person’s actions, or even a defective product such as a canoe or PFD could have caused the accident, the situation is only worse. If you or someone you care for has been injured or killed in any type of boating accident in Weeki Wachee or elsewhere in Hernando County, please contact a Hernando County Boating Accident Lawyer at Whittel & Melton for a free and confidential appointment. Call 352-666-2121 to speak with an experienced injury lawyer today.